I’m sure some of you audiophiles are feeling tired, stressed, in a rut, or like you just need a bit of a boost. Every now and then I have one of those days where I feel exhausted and frustrated, and in these situations I always turn my attention to my favourite medium. There is music in this world that exists for the sole purpose of getting you on your feet. Some bands just know exactly what you need to get out of a funk. Ironically, funk is often a key ingredient. Mix in some serious groove, a little soul, some wah-laced guitar and phased synths, and please do not forget a big, booming horn section. A few weeks back a Toronto outfit came onto the scene with an EP that has all of those extra special ingredients for our joyous stew. Their name is After Funk, and they are fresh off the release of their self-titled debut EP. After Funk is going to make you move. If you managed to walk down the street while listening to this band and you didn’t have at least a bit of a groovewalk going on, I’m not sure if I would be impressed or disappointed. Mostly the latter. Whether it’s an intense instrumental jazz fusion tune or some smooth soul, everything about this EP is infectious. After Funk is a bonafide stress killer, designed to replace all bodily tension with a compulsion to head-bob. Along with bands like Snarky Puppy, Phish, and The Cat Empire, After Funk has gone straight into my list of bands to listen to on my way home from a bad day at work. After Funk is an auditory remedy centred around a core of pure talent. Bass, drums, guitars, keys, horns, and vocals all have something to say within each song. Each voice performs with precision and skill, leaving the listener with many quality layers to focus on. This is topped by a production quality which is shocking for a debut EP. 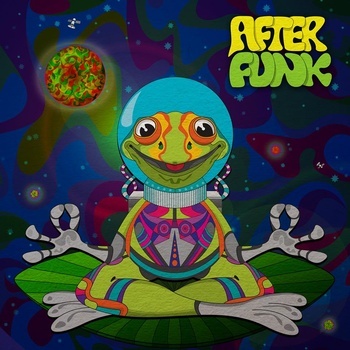 After Funk has decided to swing for the fences with their entry into the musical world, and it comes across in the degree of professionalism featured on each track. After Funk has also taken this EP as an opportunity to show their stylistic variety. As is characteristic of all jazz fusion, there are a ton of genres blended into the final mix. This EP makes a clear statement that this band is about as serious as one can get about having the most amount of fun possible. I cannot wait to see what After Funk has in store for us in the coming years. I will not hesitate to catch one of their shows as soon as I can. The EP is available FOR FREE DOWNLOAD, so give it a listen and feel your smile grow. ← Black Lips! Underneath The Rainbow: Summer has come early!